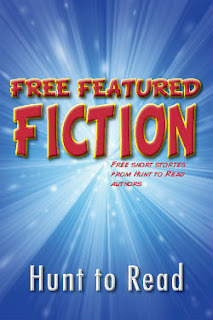 Still looking for more folks who want to have their short story featured (or novella serialized) on Free Featured Fiction. No worries; I can keep going all year. Eventually the stories might be more of the "flash fiction" variety, but no matter--they'll be stories, damn it! This week, Twilight of the Gods continues. What happened to Apollo? And what does clever Artemis have up her sleeve next? Enjoy! “No…no…blazes of Hades NO!” Zeus thundered. From high atop Olympus, dark thoughts gave way to gloomier skies as he watched the mortals below use Apollo’s elixir to cure the plague he had wrought. “Oh boy,” Poseidon nodded in agreement even as his shoulders slumped, the usually hot-headed sea god still weary from his long, mayhem-filled jaunt around the world with his brother. “Artemis!” Zeus’s voice cracked the sky with a rumble of thunder. Seconds later, his daughter appeared in front of him. His shouts reverberated across the mountaintops, stirring thousands of birds to take off in great flocks. If the theatrics inspired any fear in Artemis, she did well to hide it; her eyes remained even and calm, even as her father reddened. “ACCORDING TO—?” Zeus reached back for a thunderbolt but was stopped, as Artemis quickly drew and readied her bow and arrow. “According to plan?” Poseidon sighed, a proxy for his brother. She looked skyward before focusing on her elders for confirmation. She inhaled sharply as her eyes widened; it was the sure sound of a plan hatching in the goddess’s mind. “I will assemble the Pantheon,” Artemis said. “I will assemble the Pantheon!” Zeus stormed past his daughter. Zeus stopped in his tracks and pivoted on his heels. He marched over to Artemis and put a firm hand on her shoulder as an affected smile graced his lips. “Excellent!” Zeus finally beamed for a moment before he exited. As Poseidon filed past, he narrowed his eyes at Artemis and shook his head. The Pantheon assembled once more, as wretched as ever. This time, though, it was Zeus’s own wife, Hera, who spoke up first. “Mighty husband, this is quite the feast the mortals have arranged for us in honor of the plague we bestowed upon them!” She sarcastically waved at the empty center of the room. “I have something that you may snack on,” Zeus reached back for his thunderbolt. “Anything that mortal women haven’t ‘snacked on’ before?” Hera retorted. “Stuffing Apollo’s face while we sit up here, stomachs twisted in knots from hunger?” Aphrodite batted her eyelashes. A murmur rippled through the assembled masses. Artemis took several large, yet dainty, steps toward the god, “Yes, swift half-brother, a thousand times yes! ’Tis not the precious metals of yore, but rather something the mortals have made up to amuse themselves, to have something with which they may be rewarded for their labors. Money is where they get food, money is where they get shelter, money is how they are clothed and how they survive. Zeus stroked his straggly beard, all divine eyes upon him for guidance. The goddess nearly stuck her tongue out at Hera before she caught herself. He stuck a thumb out at Poseidon, who nodded proudly. “That is exactly what I said, half-brother." What does Artemis have cooked up now? Will Hermes go along with her new plan? 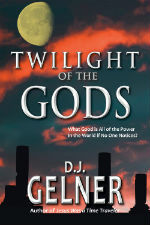 Find out in next week's installment of Twilight of the Gods! Also, if interested, you can see all of D.J. 's listings on Hunt to Read here. Happy Hunting!D.J. Gelner is the Co-Founder and CEO of Hunt to Read. Contact him directly at djgelner@hunttoread.com.